Are you a person with an extraordinary capacity for facing challenges? Do you love adventures and want yourself to be known as one of the toughest people out there? Do you find yourself brave enough to do what others can’t? Then don’t wait and start pursuing your dream simply by applying for casting audition for Divergent: Allegiant Part 2. The casting crew is looking for tough people between the age of 18 to 40. The candidates must be able to face any challenge and should be physically strong as well. They should have scary and fearless looks with challenging and rebellious personality. The candidates chosen will be taken to the shooting site in Atlanta, Georgia from December 13th to December 20th. The chosen candidates will work on upcoming scenes of Divergent: Allegiant Part 2. 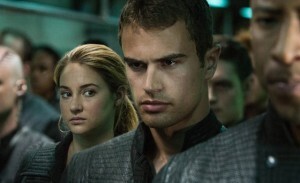 In Allegiant Part 1, the story revolves around Beatrice Prior and Tobias Eaton. The two main characters are experiencing an adventurous world outside the fence. The Bureau of Genetic Welfare is an agency whose aims and missions are mysterious. The agency has taken the main characters in custody. In Divergent: Allegiant Part 2, fearless and warrior type characters are required. The casting crew will choose people of different ages to suit the characters. The auditions will start from Friday, December 4th and will be held until Tuesday, December 7th. People from all ethnicities and genders are required for different characters. The casting crew has descriptively demonstrated about the appearance of characters. The characters do not necessarily require to be bodybuilders or physically strong. People with skinny or bulky physique but have an eccentric look can also apply for the roles. If you have ratty hair, visible muscles, shaggy face, colored hair or any other type of physique, and you also have the potential to face challenging situations and present fearlessness on screen, then don’t miss the chance and apply now. To apply for the roles then send the following requirements on element.homeless@gmail.com. Don’t forget to include the subject WARRIOR! Films in ATLANTA. So what else could anyone wish for? With very few requirements, this is an opportunity anyone as ever dreamt about. Allegiant is one of the top rated films and working on a film such as this could elevate your career in film. Apply today!